Every now and again we see some really unique stickers from our sponsorships, both of these Startup Weekend die cuts feature something interesting worth a story. We'll visit Louisville in Kentucky and Breckenridge in Colorado, where a group of entrepreneurs will gather to build an idea from scratch and bring it to life in 54 hours. We love knowing that our in-kind sponsorship helps bring together designers, programmers, marketers and anyone else interested in learning how to awaken their greatest ideas. Now this is one sticker that really knocked our socks off, and not just because we love Star Wars here at the StickerGiant World Headquarters. We print so many Techstars Startup Weekend stickers (like, on a weekly basis) and this one stands out for it's type, color and custom shape. The design team pays homage to the classic Star Wars movie logo typography for the event branding and then sandwiches a fun tagline in the font ITC Serif Gothic that says "The Idea Awakens" in the place where you'd see "The Force Awakens" text in the most recent edition in the trilogy series. The rounded edges of the stickers are perfectly die-cut thanks to our laser cutting machines. We look forward to seeing all these new ideas and this fun sticker making the rounds through the Louisville Startup community, where there are currently 198 companies with an average valuation of $2.1 million. It's already starting out to be a great beginning to the year for Louisville startups, and here's a list of 11 different companies to watch this year from Techflier.com. A big thanks to the organizing team for bringing the 10th edition of Startup Weekend to the city of Louisville. 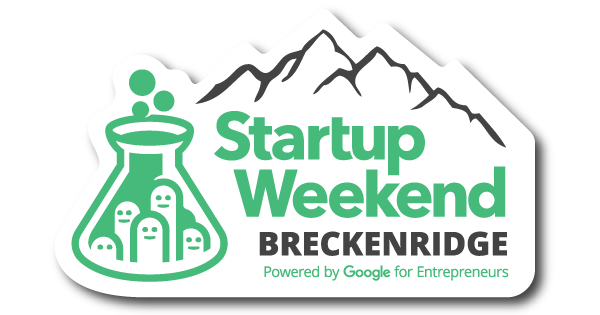 Up here in the mountains of Colorado, Breckenridge Startup Weekend will spend three days brainstorming and building ideas for a new business. Big thanks to facilitators, judges, mentors and the organizing teams, and venue sponsor ELEVATE Breck & Main Street Station. They have a custom shape that echoes the mountains of Summit County in Colorado's high country, with the peaks forming the top of the sticker and creating a dramatic silhouette. 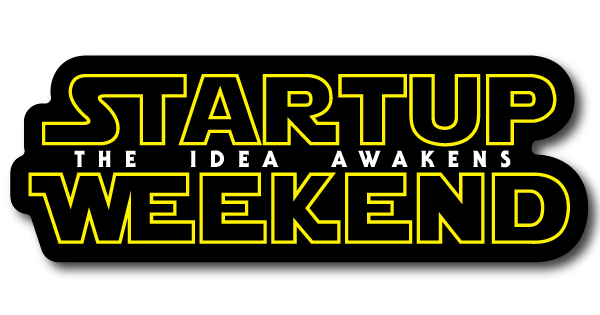 Here's a quick video for more about Startup Weekend.